Regal and solemn orchestral tune. Static intro until 1'07'', later becoming mosso with a heroic and commemorative atmosphere. Dramatic and adventurous orchestral tune with a commemorative atmosphere. Majestic, martial. Commemorative orchestral tune with an epic and solemn atmosphere. Epic, solemn. Static intro until 0'19'', later becoming broad with a majestic and commemorative atmosphere. Tension and danger. 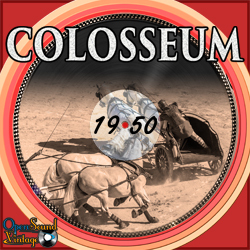 Broad orchestral tune with an ominous and martial atmosphere. Broad, epic. 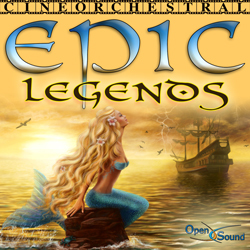 Commemorative orchestral tune with a heroic and adventurous atmosphere. Solemn, majestic. 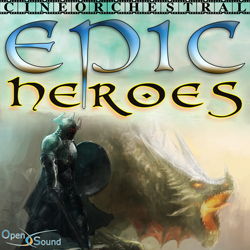 Adventure and action in an epic and commemorative orchestral tune with a heroic atmosphere. Majestic, solemn. 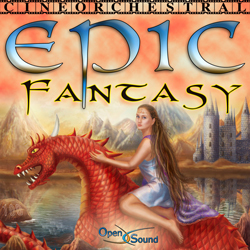 Steady orchestral tune with an epic and mythical atmosphere. Intense, majestic. Mystic and static intro by choir, later becoming mosso with orchestra, in a dramatic and epic atmosphere over a Bolero rhythm.